From the Weekend Edition!!! 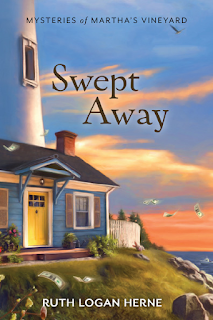 Winner of Ruthy's brand new mystery "Swept Away" is KayBee (Kathy Bailey)! Congratulations, Kathy! Monday: Missy Tippens will be excitedly sharing about her new novella release, Back to You (four new Christian romance novellas about second chances)!! And she'll be offering "5 Tips for Writing On a Tight Deadline." She might even challenge you to write using a different writing method. So be brave, and come by to celebrate with her! Oh, and there will be a giveaway! 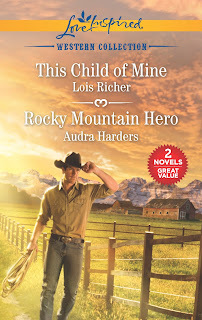 Tuesday: Audra Harders is just as excited as Missy over the re-issue of her debut novel Rocky Mountain Hero in a 2 in 1 set with Love Inspired author Lois Richer! We'll be talking about setting and probably a little pre-Valentine's Day love. Stop and leave a comment - there will be giveaways!! 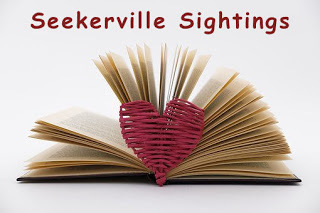 Wednesday: Megan Besing comes by Seekerville to celebrate Valentine's Day with us and talk about the Valentine's Day "vision" vs. Valentine's Day "reality". Stop in and chat for a chance to win a copy of "Mail Order Brides" novella collection! Thursday: Come on over and chat with our very own Ruthy Logan Herne for a discussion about what it takes to get the job done... even if you're not a NYT bestseller! Ruthy's got a copy of "Swept Away" her newest Martha's Vineyard mystery for one lucky commenter! Friday: You don't want to miss today! We'll have a post by special guest blogger Francine Rivers! She'll be sharing about how questions are always a good place to start a writing project, and to keep it going. And she'll be using lots of great examples from her own writing projects! Help Audra Harders celebrate the re-issue of her debut novel Rocky Mountain Hero in a 2 in 1 Western Collection from Love Inspired. Isn't this a gorgeous cover? What a Valentine's Day present! 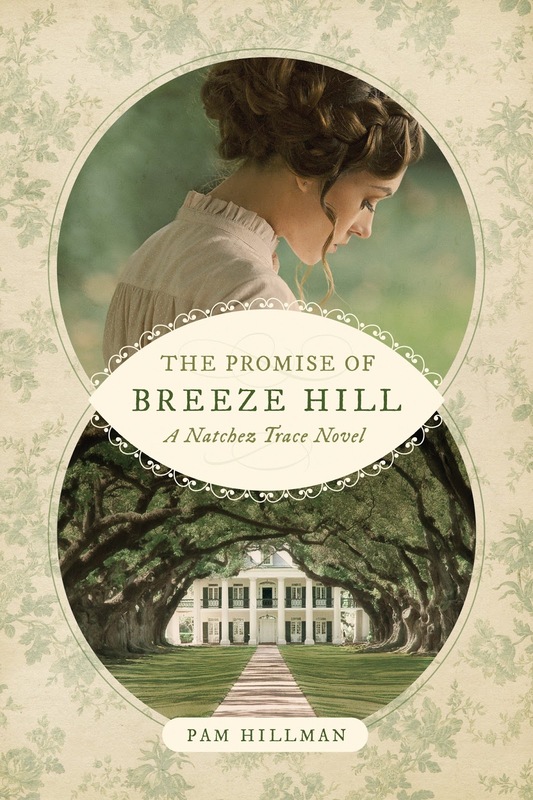 And Ruth Logan Herne is thrilled to see her newest mystery available at Guideposts! Thank you Susan Downs and Guideposts for this amazing opportunity... When a raging storm, a multi-million dollar robbery, a Hollywood movie and a missing child stir up interest in a cold case, Priscilla must risk her friendships and her reputation in order to reveal what really happened to little Lizzie Farnsworth the night Hurricane Bob slammed into Martha’s Vineyard nearly thirty years ago. 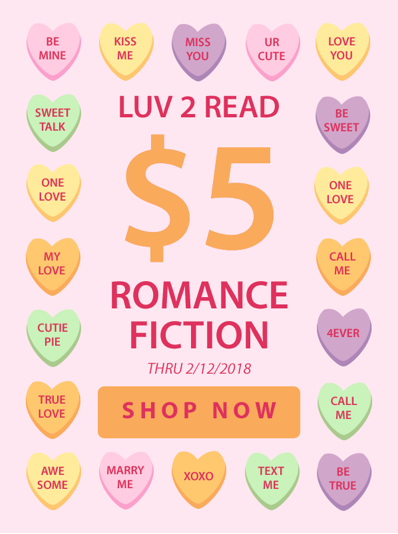 And if you're around, come to the Bookworm, and bookstore in Omaha, NE on 90th and Center St. for an afternoon of romance trivia. If you know you're coming ... call ahead and RSVP but if you get a chance and didn't call, drop in anyway. (including Pam Hillman's The Promised of Breeze Hill) for $5.00 each. And... if you purchase 7 books, shipping is free. Yes, I checked. Wink! Click Here to Pick Your $5.00 Deals! And, Audra Harders has more!! Enter to win 35 inspirational contemporary romances, including books from 30+ authors including Candee Fick, Dan Walsh, and AUDRA, of course - along with FREE ebooks just for entering. 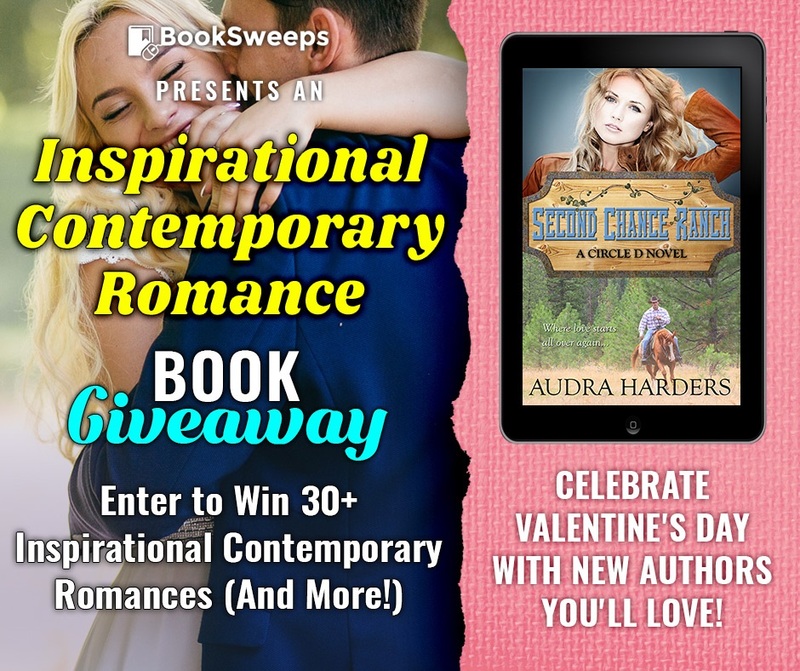 This giveaway runs February 12-18, so make sure you hurry! Good luck! Saturday, February 24, from 8:30–4:30. Award-winning bestseller Ronie Kendig will keynote on the theme “Lifelines: Writers as Champions for a Hurting World.” To view the day’s schedule and register, visit: http://oregonchristianwriters.org/winter-2018/. I'm excited to have won a copy or Mary's book Hearts Entwined...especially now that she's a big TV star. Great interview, Mary! Congratulations to Audra on your re-release, that's awesome! I'm hoping this comment makes it through security. :) Happy weekend! Congratulations, Jill! Yes, we have a celebrity in our ranks! Didn't she look the part?? Have a great week!! Audra, I love that they're re-releasing your story! YAY!!!!! Happy release time!!!! Yes, Audra, that is super news about the rerelease. Time to snoopy dance. Another great WE!! 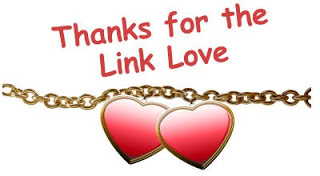 Thanks to all who sent links. Good articles to read. Looks like a fun week ahead! So what's everyone doing this weekend? We're taking our son out for his birthday. He turned 28! Hard to believe. Enjoy the birthday celebration, Missy! Since ice is in today's forecast for Southeast MO, I'm home and determined to finish the revision of Ch 1 of my WIP. I should be writing Ch 11, but Ch 1 has been nagging me, so I need to hush it up so I can move forward. 28! Oh, my. Time flies, doesn't it? Enjoy your weekend, Missy. It's snowy here along the Front Range of Colorado, so I'll play with the pup out in the snow and get some words down! I'm working on a story... and the attic (again, don't ask)... and cooking a turkey! Turkey dinner at Ruthy's tomorrow!!! How can 40 year old Missy have a 28 year old son??? 28? When did that happen? I'll be working around the house, unpacking boxes, trying to get room situated. How did we get so much stuff? And we purged before we moved! Karen, I hope you get Ch. 1 to where you like it! Audra, stay warm!! I hope the puppy is getting used to the snow. Mindy, we said that after getting rid of dumpsters of stuff plus giving away a ton more. We couldn't believe how much we still ended up moving with. I won the Ruthy book. Good to know at the end of a week of unrelenting crapola. Happy. Congratulations, Kathy! Praying next week is a better one for you! Good hear, Kathy. Bright spots at the end of, um, less than happy weeks must be celebrated! Kathy, I hope you love it!!! I loved writing it and I'm having so much fun with the crew at Guideposts! Ooo...sounds like things are looking up, KB. 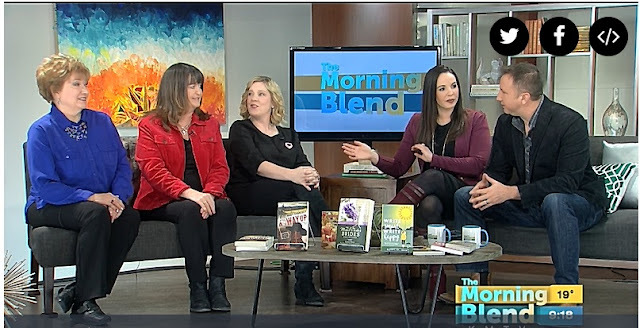 Mary Connealy, what a great interview for a fun event! I wish I were closer to Omaha. I've shared the information with a friend in NE. I hope you have a great turnout! Wasn't she great? All three of the ladies represented our genre so well. Have a great week, Karen! Thanks, Karen. I've sort of developed a comfort level with public speaking....my rule is........i count it a success if NO ONE IS KILLED!!! Um, Mary, just when was the last time you killed someone? I mean, in real life, not a book? Well, there was that time with Julie Lessman... but no one died!!!! I do NOT count close calls. I loved that interview with our Mary, Cheryl and Sherrie! That was marvelous!!! And how cool that you guys do so much with the Romance of the Heartland chapter. I think that's amazing and cool! Go you!!!! Great WE, and I'm excited not only to be working on two projects right now, but to see this wonderful line-up this week rocks!!! And I'm so excited to see SO MUCH STUFF going on!!! Thanks, Ruthy. RAH (Romance Authors of the Heartland) is my local Romance Writer's of America chapter and a great group of authors. WOW! What a fabulous WE! Congrats to all the winners. 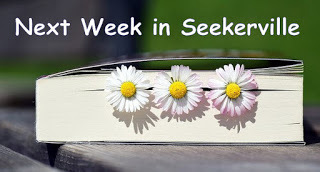 I'll be dropping back in thru the day to check out links, new books, and best of all, Mary's interview. I'm so excited about next week's stellar lineup!!! So many great books to order and read. The Seekerville crew is so prolific!!! Love you all!!! It's hard to believe I missed a full week. It's been rough trying to heal but I had to go back to work last week & a lot of stress. But I can't be Superwoman yet so my boss needs to understand that I came back early for our team so I need a little grace. It's so good to see you back! Praying for quick and comfortable healing. It takes time to get our feet back under us, doesn't it??? You hang in there! Cindy, I hope you're feeling better and better. Take care of yourself! Congratulations to Audra on the rerelease of your story--exciting! And so fun to see Mary's TV interview! You ladies did an excellent job! Thanks, Myra. And it's so great that Audra's book gets NEW LIFE!!! Wow -- tv interviews -- pretty soon Mary will be fighting back the paparazzi every where she goes. I'm reading Too Far Down right now. And I'm at a crucial point so -- off to read. Happy weekending. Kav, right???? I love that story!!!! Kav right now I'm just fighting off the ice and snow!!! Oh, a weekend off... With a cute guy!!!! So many releases, prizes and contests in the works!!! Glad we could promo all of them. Mary, loved watching the TV segment! You, Cheryl and Sherri were wonderful...so lovely and gracious! Have fun Sunday at your book store event. Happy Weekend, everyone. Congrats Audra on the re-release of the book. Mary, Cheryl, and Sherri did a great job in the interview. I will be heading out soon with hubby for his belated office Christmas party in Lincoln. We see Jersey Boys this afternoon, then have a nice dinner, and then are put up in a hotel for the night. Always a fun weekend for these parties. Hopefully the roads will be good. It snowed again overnight. How fun, Sandy! I saw Jersey Boys and enjoyed it. Went to a local playhouse last night and saw Million Dollar Quartet, which featured Elvis, Johnny Cash, Carl Perkins and Jerry Lee Lewis at Sun Studio in Memphis. A "jammin'" night! Sounds like a fun music weekend for you both! I went to the Atlanta Symphony on Thursday evening. Heard a Beethoven piano concerto and Mozart Requiem. It's was outstanding! Pianist Jorge Federico Osorio was amazing. How on earth do people memorize a whole piece like that??! I saw that later, he's going to be performing all of Beethoven's concertos over a two day period. I can't even imagine. Sounds like a lot of us enjoyed a musical weekend. Debby, that sounds like a fun show you attended. Missy, sounds like you heard some beautiful music. I agree I don't know how some of these people can be so talented. Happy Saturday, everyone! We awoke to snow, and I'm so thankful. It's a perfect morning for writing, which is what I'm going to, with blessings from my Hubs. Jeanne, I hope you got a lot of words written yesterday! I, too, really loved that Hauge post. Happy weekend to all and congrats to all the winners! We just finished today's phase of our flooring project and I don't plan on moving from this spot on the couch for the rest of the day. Time to sit and read and let the kids take care of their tired parents! Hope you're recovered today, Beth!! That must be hard work. Great WE! So many good links. Winners: Congrats!!! Audra!!!! Congrats on the re-release! I agree, Debby! It's been so dreary. Congrats to the winners, and looking forward to this Valentine's week coming up! Happy WE everyone & congrats to the winners! Mary, you are a TV star :-) Enjoyed watching the show. Audra, congrats on the 2 in 1 book re-release, looks awesome.